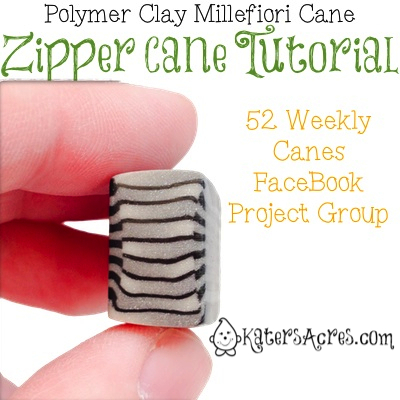 This week for the 52 Weekly Cane Projects group, our challenge was to create a zipper cane. Here’s my mini-tutorial for this cane. 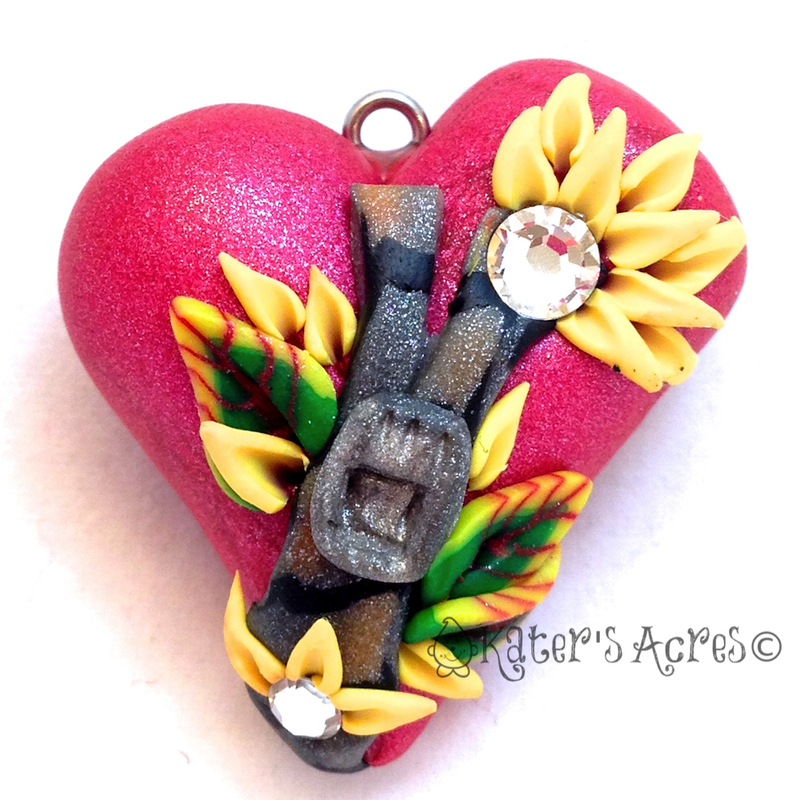 My cane is similar to The Zipper Cane by Iris Mishly on Polymer Clay Central, published in 2005 on the Polymer Clay Central website. First make a skinner blend of any two colors of your choice. NOTE: For my cane, I wanted it to be a neutral base with a slight color shift, so I chose two colors that were very similar to each other: silver & pearl. Once your Skinner Blend is made, use your sculpting skills to transform your sheet into a graduated block. Go to the Iris’ tutorial to see this in depth. The next step is the most crucial, cut your slices in your cane the exact same thickness. NOTE: I did this simply by measuring the same length the entire way down the cane on both sides. Then I lined up my blade before I cut through the block. NOTE: Here’s where my cane begins to differ from Iris’. Between each layer, I added a very thin strip (rolled out on a #6 on my Atlas pasta machine) of black polymer clay. Once this was done, I trimmed up the sides of my cane. The using a stacked sheet, I added silver & black stripes to the side of my cane. I reduced this cane in the same manner I reduce all my small square / rectangle canes, by using an acrylic block to keep the side square to help the cane not to warp. The finished & reduced cane is shown in the top right. NOTE: Despite my best efforts the cane still warped slightly in the middle as you can see by the not “square” lines but the “drooping” effect of them. What Can You Do with a Zipper Cane? Transform them into petals for flower canes. Do them in black and white to resemble piano keys. Make beads out of them. Use them as a border in a component cane.